Bioflex Laser Therapy White Rock BC | DesLauriers Chiropractic Group Inc.
Bioflex Laser Therapy promotes healing so you can get back to doing what you love to do. We want the best, state-of-the-art therapy for our practice members and that is why we use the Bioflex Laser system. Your joints are allowed to heal without medications, surgery or injections. Getting laser therapy takes about 45-60 minutes, depending on which area needs help. It’s so safe that children, pregnant women, adults and seniors can benefit from it. All of our laser therapists are certified. 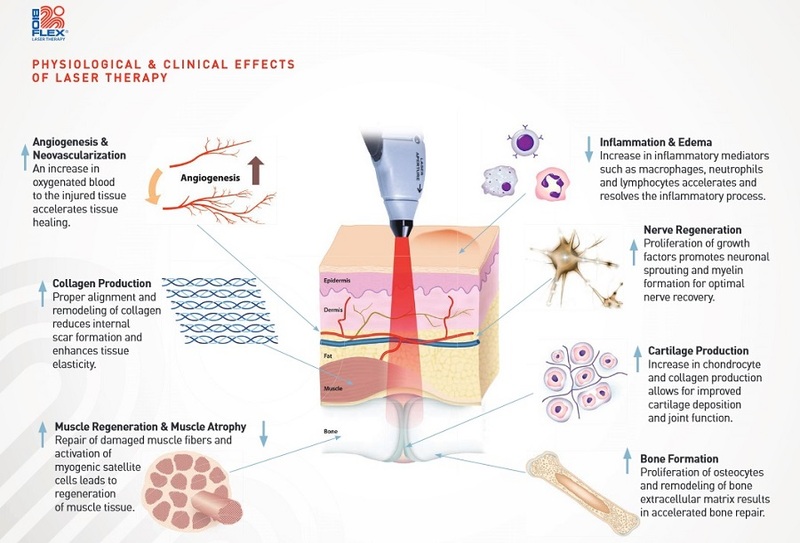 For more information on Bioflex Laser Therapy, download our brochure here. Or, contact our office today to schedule your appointment to learn more.